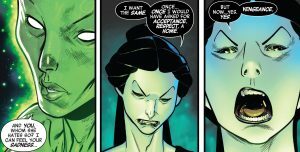 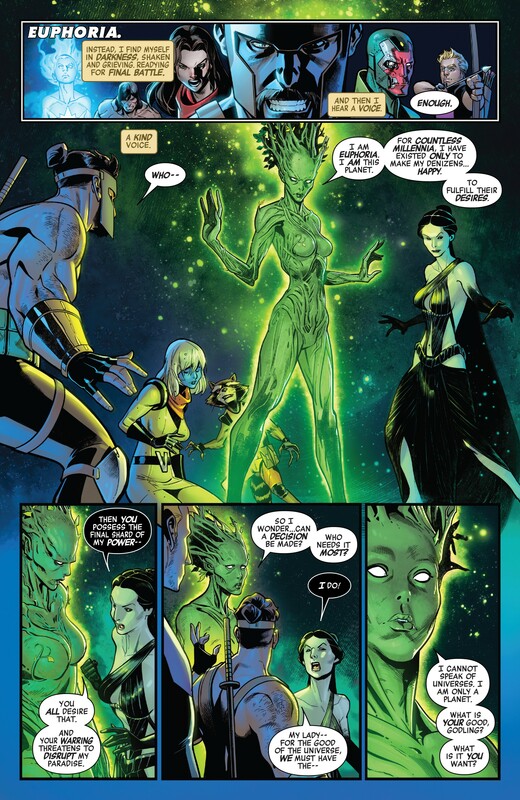 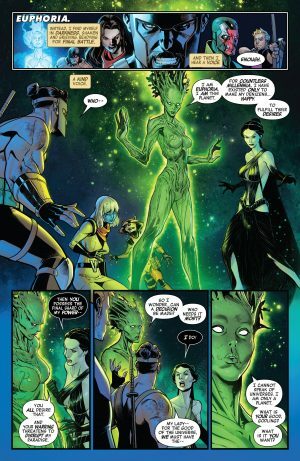 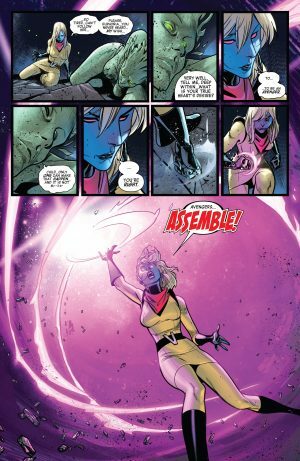 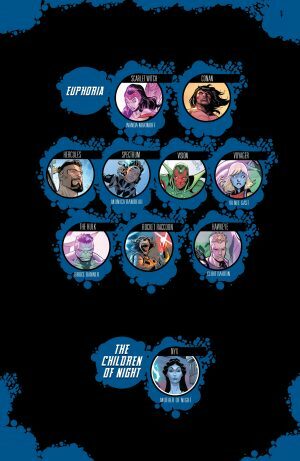 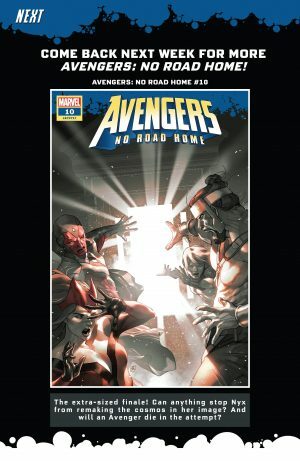 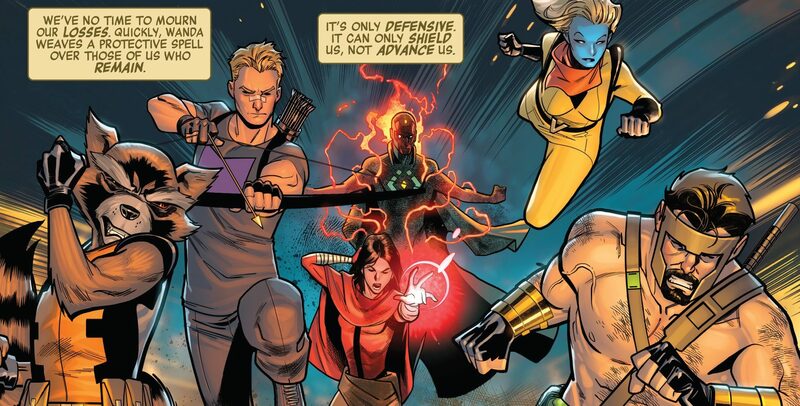 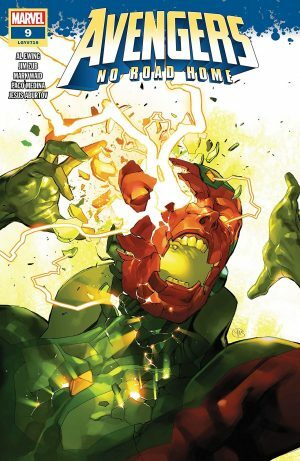 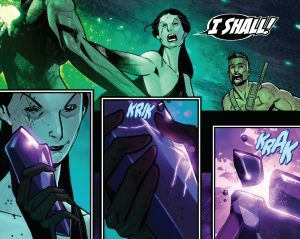 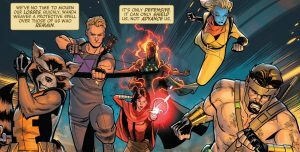 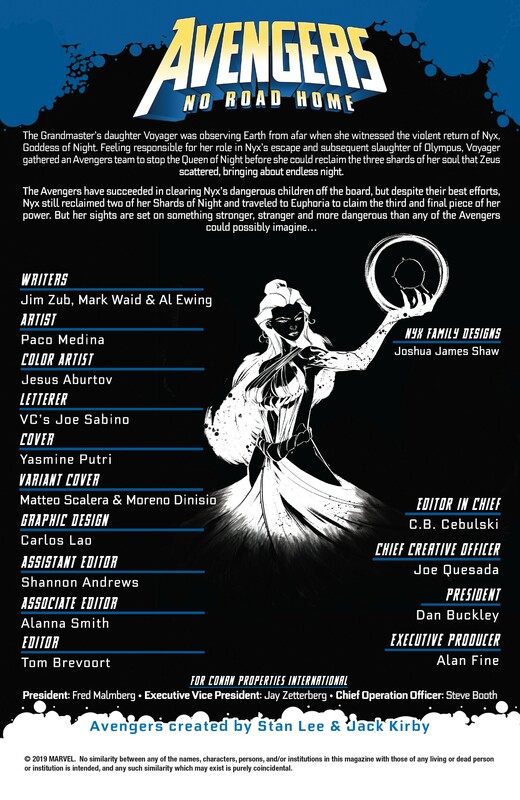 Marvel Comics Universe and Avengers No Road Home #9 Spoilers follows. 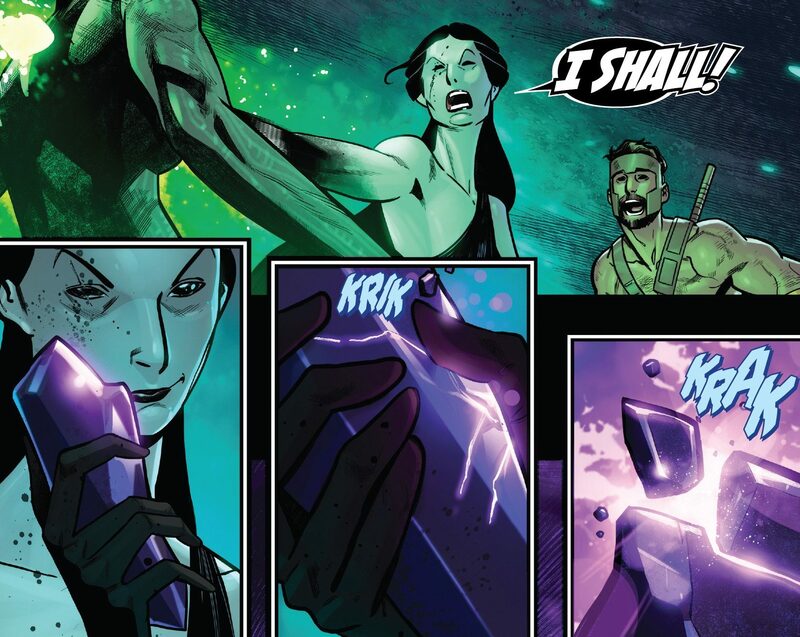 Euphoria, a planet made flesh, has the shard that will return Nyx’s godhood. 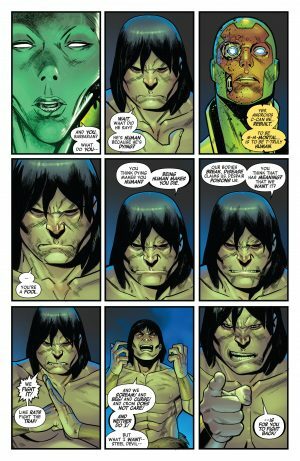 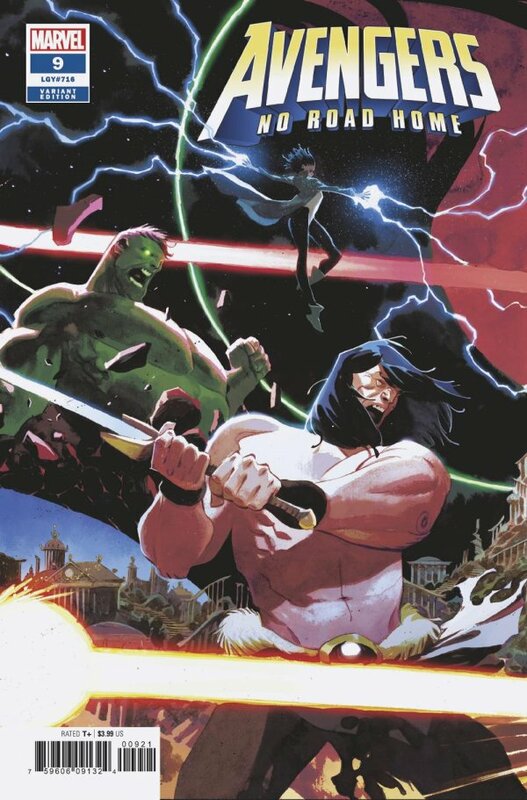 …and the Immortal Hulk wants the world to be destroyed to end his immortality! 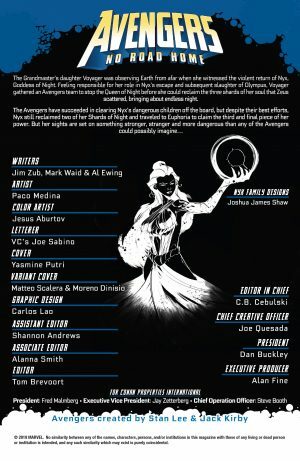 Nyx wants no more of these games! 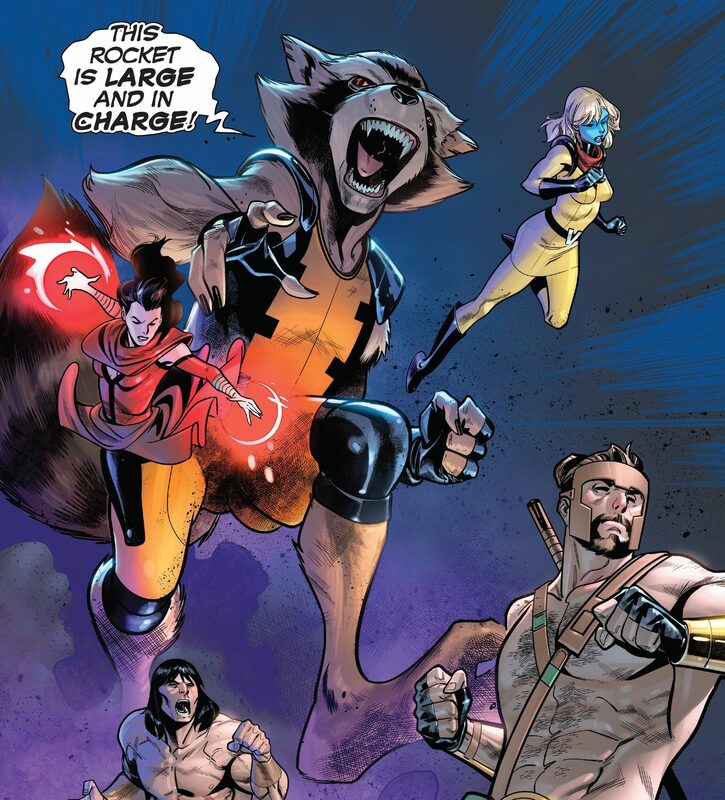 …the Avengers attack Nyx including a giant Rocket Racoon (some pills allowed him to embiggen). 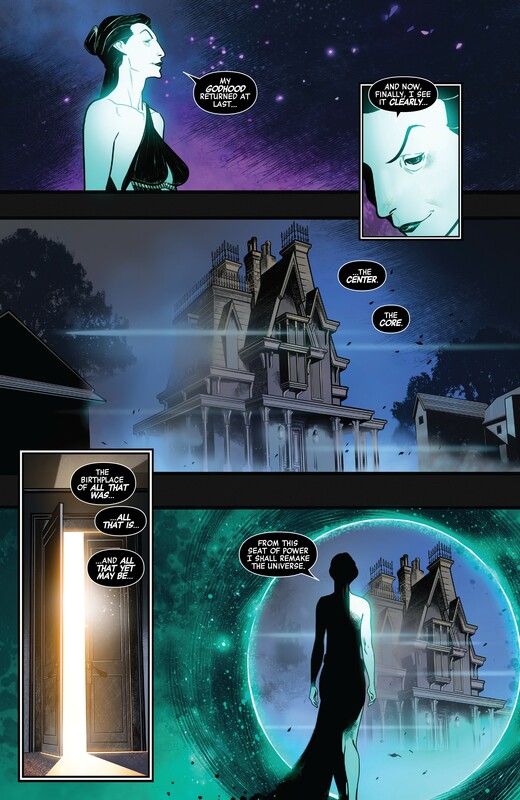 …has her godhood restored and travels to that mystery house seen earlier in this series. A dying Euphoria encourages Voyager to follow her heart and be the Avenger she wants to be! 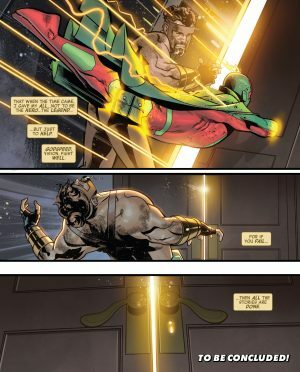 …realize they need to keep the door to the house closed! The Vision sacrifices himself to meet that objective it seems. Next up is the series finale!